I have been trying desperately NOT to spend money recently, which partly explains my lack of posting recently, but having had a bit of time this afternoon to browse the Spring/Summer offerings of my fav shops, I thought it would be churlish not to share! My first spot though, is more of an Autumn thing, and a great bargain in the Baukjen sale (especially tonight as they have an extra 20% off) - The Alyth Striped Skirt is a bit different and made of a thick jersey fabric so won't show your lumps and bumps. 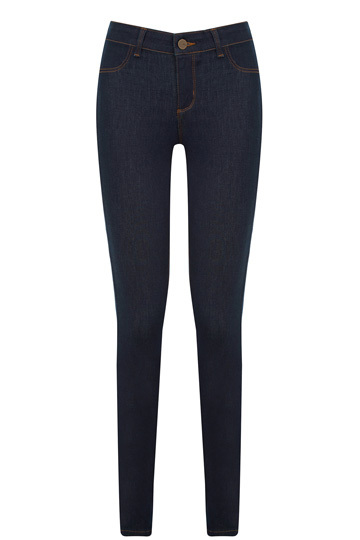 Moving on, I am ALWAYS on the look out for dark indigo jeans - but am struggling with sizing at the moment post baby. I am pretty excited about this new, really dark style from Oasis at £32, hopefully they will have enough stretch in them. 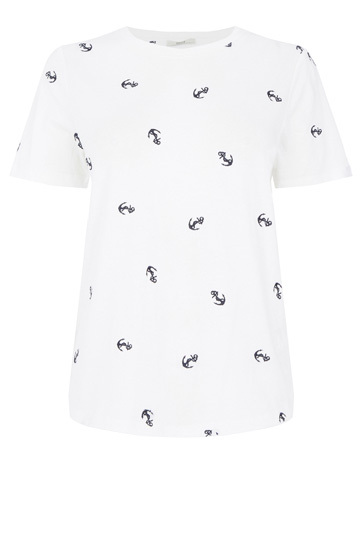 Whenever I buy anything, I always like to look for something to go with it, just to make sure...I spotted this lovely embroidered anchor t shirt and think it would be great for Spring/Summer - Oasis do great casual stuff and this is defo one for my wish list. 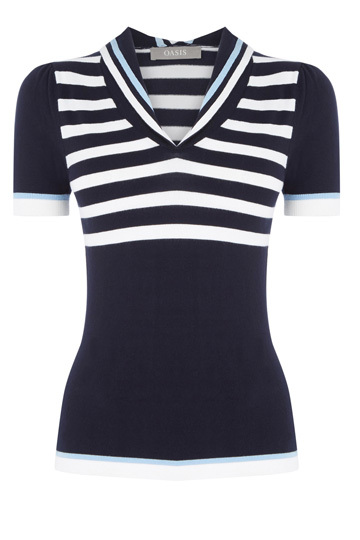 Speaking of nautical themed clothes - I love the neckline on this Nautical SS Knit Top - having quite narrow shoulders I am always looking for ways to widen them. Great with jeans or a denim skirt. I LOVE this one! All I need now is something to go with the stripy skirt!